This plugin removes comments from source files for a number of programming languages. Required Python 3.6 on Jenkins server. A new build step is added: 'Invoke Comments Remover' which accepts files to process as input and creates uncommented version of them. User can specify Python path in global settings for the plugin (otherwise the one on the system PATH is used). Alternatively, user can create plain script build step (Execute shell or Execute Windows batch command) and run comments_remover.py Python script manually. 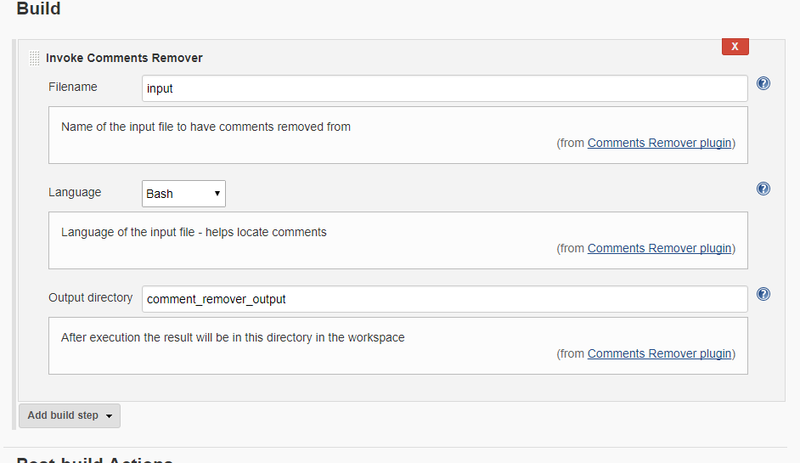 If you use Jenkins Struct Plugin, this plugin has a shorthand defined: commentsremover. Create ZIP archive of all files required to run Comments Remover - in particular, comments_remover.py and requirements.txt. Put it in src/main/resources. The plugin expects to find comment_remover.py and requirement.txt on the top lever of the archive. You can attach Java Debugger to a local Java process of Jenkins. The *.hpi file will be created in target/ directory. 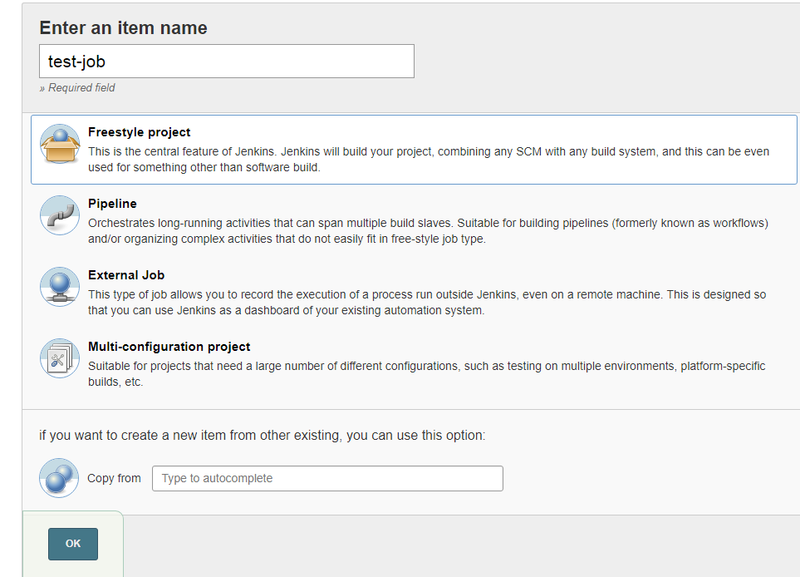 To install manually on local Jenkins, copy it to $JENKINS_HOME/plugins directory. Follow the instructions to assign new version number.